Hello guys, today you are going to learn about an awesome trick about Dual WhatsApp. Now enjoy your favorite WhatsApp Messenger with multi accounts trick. Whatsapp is a common and popular messenger apps for a smartphone device. Usually, we use Android phones with the Dual SIM functionality. But whatsapp allow us to create only one Account on one Device. But using our the new 2019 trick you can run two WhatsApp Accounts in one Android mobile. I am pretty sure that you have tried many methods for installing 2 WhatsApp. But, you didn’t get success yet. But don’t worry, with this guide you are all set. 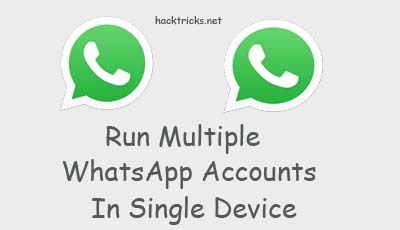 Run Multiple Whatsapp Accounts on the same Android phone. At HackTricks, we only come with working ways to solve the problems. Now, everyone is demanding for ways to run multiple WhatsApp accounts on their mobile. So, we tried all the methods possible to solve this query. Got our hands on all the apps and tricks. Now, all the working ways for more than two accounts are ready. The great thing is there is no need of rooting. All these tricks work without root Android devices. Rooting is risky if someone is not having enough knowledge. Also, may don’t know about how to root a mobile. So, this guide is for all of you. No need to worry as we have brought the steps for two whatsapp in one mobile in the easiest ways possible. I was browsing through other Dual Whatsapp trick articles online. They all tried to solve “How to use 2 Whatsapp in dual sim phone” topic. But, those looked like very complex. 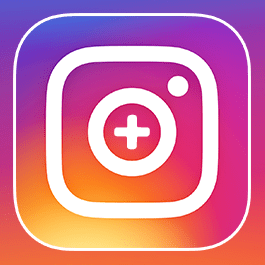 So, I decided to add new tips in this post with all the latest 2019 ways to run two accounts on one Android phone. The WhatsApp APK is popular. Many want to utilize their Dual SIM by creating the second WhatsApp account. Youngsters need it for fun purpose. So, here is the blast. Check below for all the latest tips and tricks. We are all set to enjoy running more than one WhatsApp profiles in one device. But, to ride on a buttery smooth way, I’m further simplifying all the tricks. So, now come to point. There are various ways to adapt for multiple accounts. But two of them are the most important things. One is Clone Making Apps, and another is WhatsApp MOD Apps. Finding apps clone creator APK like Parallel Space and 2Face is easy on Google Play Store. There are some MOD APKs like WhatsApp Plus, GBWhatsApp, YoWhatsApp and much more. So, let’s discuss all these. Keep reading for all the details. Using App Clone Creators is one of the best choices for cloning the WhatsApp app. There are various apps like Parallel Space, 2Face, NoxApp Plus and much more. You just need to install any one of them from the Google Play store. Then, open and select WhatsApp to clone it instantly. Then, enjoy the easiest second WhatsApp account method. Go and Install the Parallel Space App from Google’s Play Store by Clicking Here. After installation, open it. From the list, select WhatsApp and tap on “Add to Parallel Space” button. Now, the Whats-App Clone is ready to run. 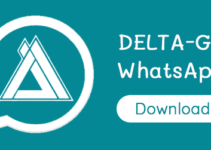 Click on the WhatsApp Icon, and you will see the launch of the 2nd WhatsApp. Verify your Mobile Number as usual and Enjoy running two accounts. Anyone reading this trick is surely having the Original WhatsApp on his/her mobile. Don’t do anything wrong with it. Don’t Uninstall it. Read ahead for running the 2nd WhatsApp Account with the new MOD APK. You can use any WhatsApp Mod Apk for this dual WhatsApp purpose. Some of the best choices are YoWhatsApp, FMWhatsApp, WhatsApp Plus, AZ WhatsApp and more. 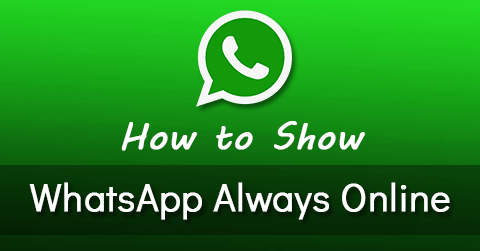 Download and Install APK file of GBWhatsApp in your Android Mobile. Note: Enable “Unknown Sources” option in Settings of Phone. Open GB WhatsApp & Enter your Mobile Number in it, which you want to use as the secondary account. Verify Your Mobile Number via OTP normally. Congrats!! After Verification, You are now able to run Two WhatsApp Accounts on one Android Mobile. 1st WhatsApp is Original WhatsApp, and the 2nd one is GBWhatsApp. Updated design with bug fixes – Stable Version with Every Function Working. So, this is the easiest Dual WhatsApp trick. Hope, you are now running two WhatsApp accounts on your Android phone. If there is any confusion, then please comment below. I will surely help you as soon as possible. Je veux se whatsapp care sa vas me permets de faire quelque truque avec. which of these methods for dual watsapp is best?